Niantic CEO John Hanke, the man in charge of the mobile app maker behind Pokémon Go, reflected on the company’s rather disastrous real-world meet-up this past weekend, writing in a blog post published today that he and his team are sorry for the issues and taking the time to detail exactly what went wrong. 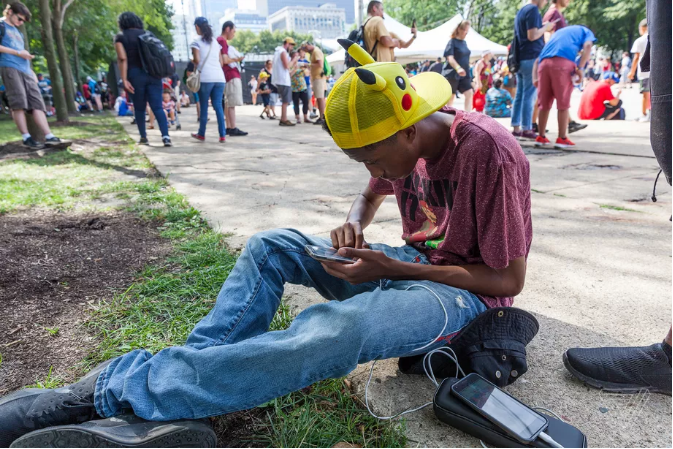 According to Hanke, it was not so much the lack of preparation on Niantic’s part that plagued the very first Pokémon Go Fest in Chicago — though he readily admits to it being a learning experience — but an unforeseen level of cellular data congestion that overloaded mobile network providers and made the game unplayable for a vast number of attendees. Hanke adds that some cell providers deployed mobile hardware known as Cellular on Wheels (COWs) devices to extend network capacity, while others used mobile Wi-Fi hot spots to try and cut down on congestion. But the sheer amount of players and the infrastructure inconsistencies across the city during the event led to many festival attendees struggling to connect all day long. Despite the issues, Hanke sounds rather resolute in continuing to hold real-world meetups for Pokémon Go players that center on mass collaboration and the game’s coveted legendary pokémon. Hanke says Niantic recorded 69,000 raid battles and 7.7 million pokémon captured throughout the duration of its first festival, a staggering 440,000 of which were legendary pokémon like Lugia and Articuno. Going forward, Niantic plans to unlock the other legendary bird pokémon, Moltres, and Zapdos, during the first and second weeks of August. The company is continuing on with its next festival in Yokohama, Japan, with more events to come in Europe.